The Compost-A-Mat farrowing mat measures 30” x 36”, and is made from at least 50% corn stalks that are heated to over 375 degrees providing a pig pathogen free mat for piglets to lie on. One mat is designed to provide laying room between two crates. Place one mat under pen divider and pull to back of crate. Center the heatlamp over the mat. Adjust heat lamp to keep mat at 90 degrees Fahrenheit. 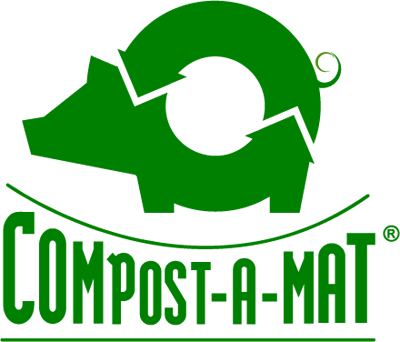 Make sure that the sows or gilts cannot reach the mat or they will chew on it and decrease the life of the Compost-A-Mat. Place the mats for gilts and P1’s just prior to farrowing to prevent chewing. Mats can be used alone or can be placed over top of another mat especially in the case of scouring piglets. Position mat to the back of the crate so the sow can’t reach it. Mat will last approximately 7-21 days. 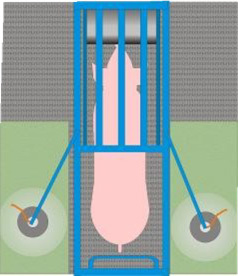 Healthy pigs are more active and the mat will last approximately 7-10 days. A new mat is not necessary after that. 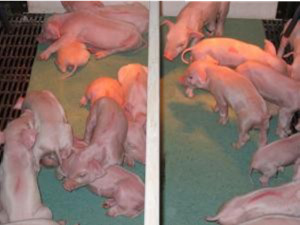 Challenged pigs may have mats that last up to 21 days because they are not as active. After use, mats should be picked up and disposed of properly. Feedback programs - Used mats can provide an excellent source of feedback material when torn into small, hand-sized pieces and mixed into your feedback material. Compost - Old, used mats are biodegradable and may be added to your compost pile.